We can help you have a healthy pregnancy, birth, and postpartum no matter where you plan to give birth. After over 16 years of midwifery practice and 20 years of attending births as a doula, student or midwife, Christy, will be taking a break from offering homebirth services starting in the SUMMER of 2018. This is not a retirement, but a pause to focus on family, to pursue additional continuing education AND A GRADUATE DEGREE that hasn’t been possible while running a busy practice, to increase her support to efforts for reproductive and racial justice in Philadelphia, and to renew and replenish herself! 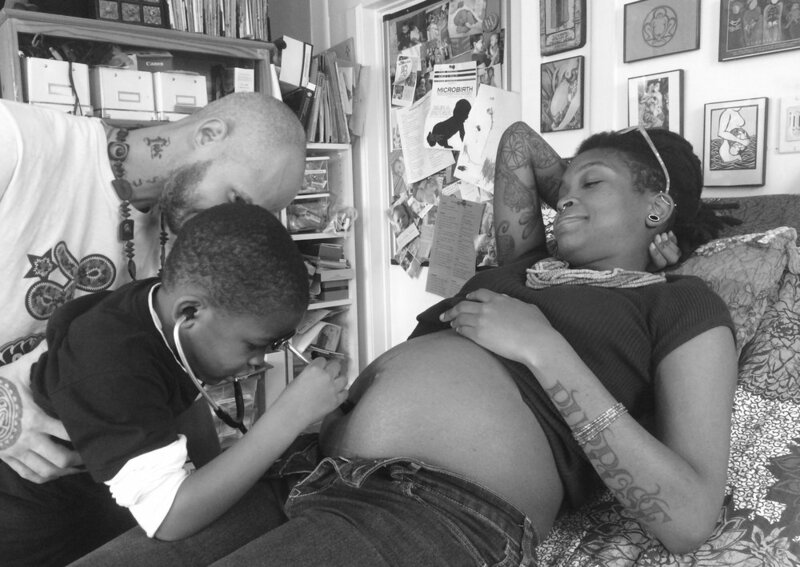 During this time, we are excited to announce that Motherland Midwifery is expanding our services to include several packages of holistic family-centered prenatal and/or postpartum care for pregnant families planning to give birth in area hospitals and birth centers as an adjunct to the care they receive from their primary provider. See the services page for more information! *NOTE: Motherland Midwifery has a new office! After 13 years of a home office, Christy is now seeing clients out of a beautiful, cozy space at 1214 Moore Street, right off East Passyunk Avenue! We provide traditional holistic care for families during the childbearing year. Adjunct support for pregnant families. 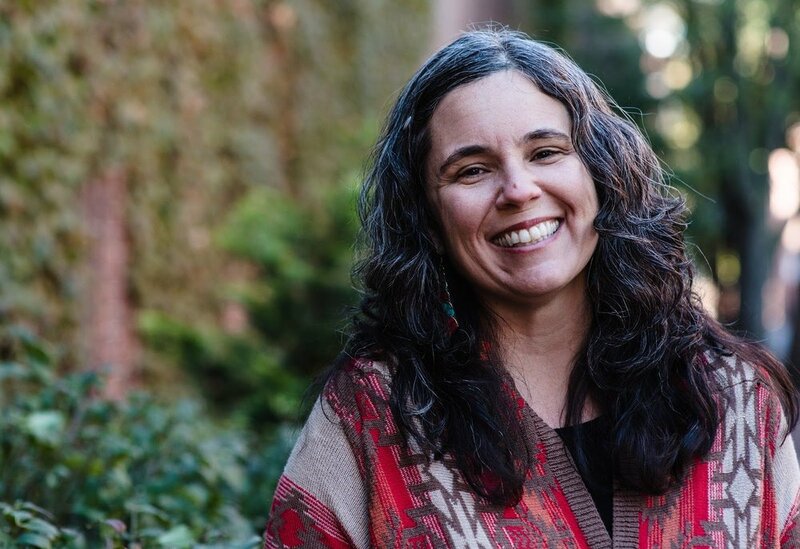 Although, starting in the fall of 2018, Christy will no longer be attending births as a midwife, she will be providing adjunct prenatal care for pregnant women who already have an OB/GYN or midwife as their primary provider but desire holistic guidance on optimizing their health during pregnancy. The Fourth Trimester Program - NEW! Helping parents and babies thrive during the first year. Each visit includes an assessment of your diet, sleep, energy, emotional status, and any concerns about you or your baby’s health. Babies will be weighed at every visit so we can watch them grow over the first year. The first birth I attended was in 1985 – it was the birth of my youngest sister, Michelle. I was 11 years old and it was one of the formative experiences of my youth, and the beginning of my journey to becoming a midwife. In 1995, I earned a degree in Public Health in Health Behavior and Health Education from the University of North Carolina at Chapel Hill, with a focus on women’s health and culturally appropriate health care. In the spirit of believing that life and death are next to each other on the circle of life and not at opposite ends of a spectrum, I found that taking care of my Great Uncle through his last year of life and his death was the catalyst to my answering the call to be a midwife. As a first step on that path, I trained as a doula through Doulas of North America (DONA) in 1998. I was a DONA certified doula for 6 years, and practiced as a doula in all birth settings. Christy's guidance and support for our postpartum period were invaluable- thanks to her, we took time to think about how we wanted our first weeks to feel and we were better prepared to take care of me in addition to our son. Christy's visits and availability to answer questions about my healing and Sam's progress were enormously helpful and comforting. Our first weeks home with Sam would have been bewildering and more challenging without her support. "Christy is kind and professional in her care, and as first-time parents we were particularly grateful for her postpartum support. Before our baby’s birth, she helped us plan how to function well both physically and emotionally with a newborn in the house. Having her come by for home visits was such a relief—she answered our questions, checked baby and me, and offered breastfeeding advice. This “babymoon” was a restful time for our little family and helped us transition smoothly into life with our baby boy." "Christy is a breath of fresh air [...]. She and her team were kind, loving, supportive and empowering. I enjoyed my prenatal care knowing I would be encouraged to make my own choices and be supported while doing so." "When a woman who believes in herself and then surrounds herself with people, like Christy, who believe in birth and believe in her— the beauty that comes from it is magical." "I truly consider having my babies at home with Christy as one of the greatest blessings of my life. 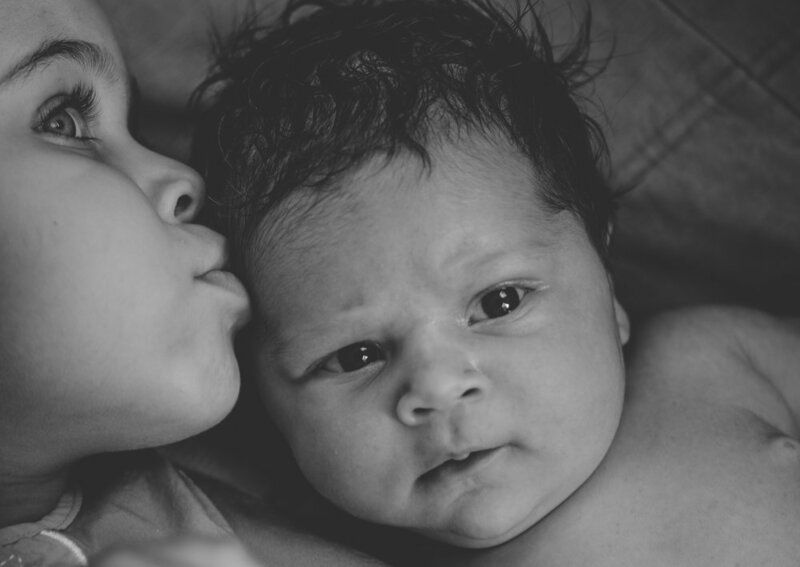 The care she gave to me, my babies and my husband during pregnancy, labor and in the weeks afterward was everything I could ask for; knowledgeable, comprehensive, accessible and open-hearted." "I came to Christy as a scared, confused, soon-to-be single mother and she not only helped me through my pregnancy and home-birthing process, but her knowledge and dedication also transformed me into a confident and successful mother." "I wish all medical practitioners offered such personal, attentive and informative care as Motherland Midwifery. Christy was a calm presence throughout my pregnancy. Prenatal visits were on time and as thorough as I could hope for. I felt comfortable asking about anything and confident that I received unbiased answers so I could make informed choices." My homebirth experience with Christy and Janeyne in one word would be uplifting. My homebirth with Christy Santoro was one of the most memorable experiences of my life. I chose Motherland Midwifery because I wanted midwives who would provide guidance and support, but ultimately give me the space to labor and birth in my own way. The birth is just the beginning! The knowledge, skills and confidence you gain by being an engaged, active participant in your pregnancy care and birth will serve you well as you embark on your parenting journey. Having the continued support of your midwives and a diverse community of families who made similar choices for their pregnancy and birth, can make a huge difference as you move forward beyond the “fourth trimester” and your official end of care with our practice. 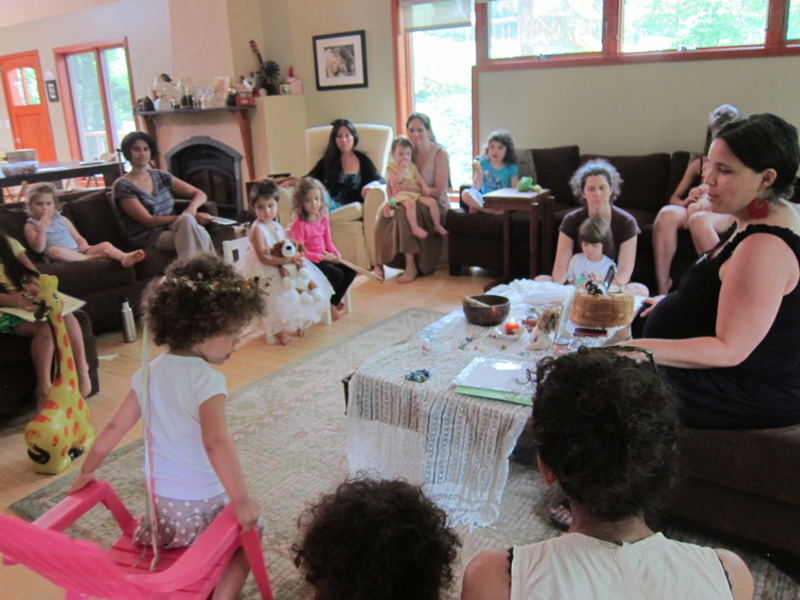 We offer seasonal familiy potlucks, informational gatherings, film screenings and playdates. We also have an online forum to communicate with hundreds of other Motherland families to share information, resources, advice or just a compassionate, listening ear to the joys and challenges of pregnancy or parenting, as well as share pertinent information about local, state or national issues and events regarding maternity child health policy and access to midwifery care. Many in our community have created specialties in various healing modalities, childbirth education or doula or lactation support services, birth and family photographers, parenting coaching and more. The non-judgmental, safe space that we co-create is a truly special and long-lasting gift of joining this community! Is ours not a strange culture that focuses so much attention on childbirth—virtually all of it based on anxiety and fear—and so little on the crucial time after birth, when patterns are established that will affect the individual and the family for decades?